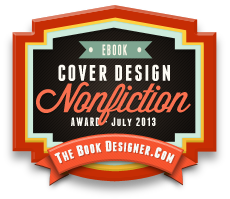 The Book Designer.com has awarded the best non-fiction cover for July 2013 to Futon Daiko: A Japanese Festival. The site, run by Joel Friedlander, is a wonder source of information for independent publishers. More about the Book Designer and this award can be found at The Book Designer.